The Forest Hill Society is only one year old but for a one year old it is extremely active. Over the last year we have been mentioned in parliament in a debate specifically about trains through Forest Hill, we have lobbied and worked with MPs, Assembly Members, Mayors, Councillors, and the rail industry, and we have made sure that the views of the people of Forest Hill have been heard. We do not want any cuts to train services to London Bridge. We have worked to make Forest Hill more of a community through our activities over the last year, including two local pub crawls, a nature walk through Devonshire Road Nature Reserve, and 80 people braved the rain for an historical walking tour of Forest Hill. We have worked with local residents to improve a footpath behind Sunderland Road and are helping to improve the top of Stanstead Road. People who use Forest Hill station will have noticed the removal of the graffiti from the footbridge earlier in the year as well as minor improvements to the Perry Vale entrance and the guttering in the underpass. Traffic calming has been put in place on Honor Oak Road and Honor Oak Park. All of these changes have made Forest Hill a slightly nicer and safer place to live, and would not have happened without the Forest Hill Society. 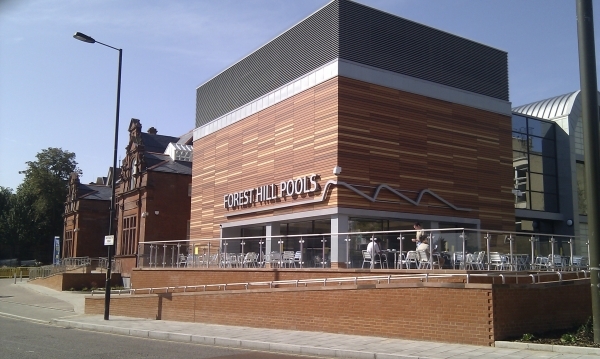 Concerns have been raised by the Forest Hill Society about a number of other issues, from the continuing closure of the swimming pool and the lack of use of Louise House, to the state of Sydenham Park / Dacres Road footbridge, as well as the need for traffic calming on Kirkdale, and further improvements to the underpass and Forest Hill station. Forest Hill is lucky to be a lovely, friendly, and green place to live. On the whole things are continuing to look up for Forest Hill, with the East London Line arriving in a few years, the station being made disabled accessible, plans to reopen the swimming pools, and plenty of shops ready for new businesses to come into the area and join the many great businesses we already have. After one year we have proved that the Forest Hill Society can make a difference and make Forest Hill an even better place to live. 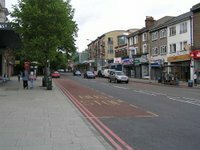 But we do need you help and support to keep campaigning, to keep you informed of our activities, and to listen to the opinions of all residents of Forest Hill. Click here to become a member of the Forest Hill Society. We already have 300 members but we would love to have you as a member as well. So please support us in supporting Forest Hill and join up for just £5 per year. And if you want to get more involved please come along to our AGM on 3rd October and tell us your views, or join the committee and get even more involved in transport, planning, leisure, events, or anything else that you think we should be doing for Forest Hill.